FRENCH SOUTHERN & ANTARCTIC. 1983 Eaton's Ducks. TERRITORY - Scott 101-102. See photo. Nine stamp . Type Timbres. CURRENCIES, CORNERS. View the photo. New stamp , without hinge no trace. 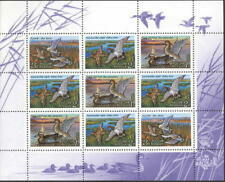 VF MNH STAMP. FAIRGROUND, FUNFAIR, LUNA PARK, GIOSTRE. Type Timbres. You can find other lots on sale, and enjoy a pooling of costs. SEVERAL LOTS in buy it now currently on sale. Nice XF NH OG group No reserve. 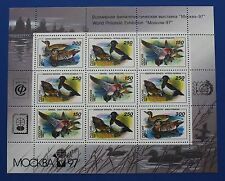 Russia 254-256 (complete issue) fine used / cancelled 1992 Ducks. Title: 1992 Ducks. Descripcion: Ducks. Area: Russia. Quality: fine used / cancelled. Old and rare. Check the pictures for exact quality. It is listed above and below for the 48 US states. Format Bloc. 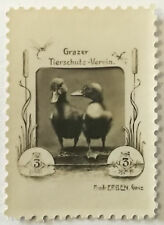 VF MNH STAMP. Type Timbres. ANY SHADOWS THAT APPEAR ON SCANNED IMAGES ARE NOT STAINS ON COVERS! THESE COVERS ARE CONTAINED IN PROTECTIVE PLASTIC SLEEVES AND ARE CLEAN! 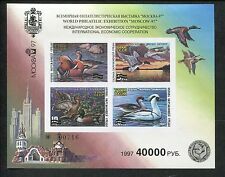 RUSSIA, 1990, DUCK CONSERVATION SHEET/36, CTO, LOT #30, NICE!! LQQK!! Combined invoice will be send in 24 hours. (O) 1976 FRANCE, ULTRASONIC AIRCRAFT - OF WAR, CABLEWAY, PICDU MIDI-PYRENEES, DUCK, LANDSCAPE, MAXIMUM CARD XF. Soviet-Union 6210-6212 (complete issue) fine used / cancelled 1991 Ducks. Title: 1991 Ducks. Descripcion: Ducks. Area: Soviet-Union. Quality: fine used / cancelled.